Auto repair shops often advertise that they offer reliable, affordable auto repairs, however, not all are equal. Good repair shops must meet tough competition and professional standards. They offer all forms of repair and maintenance of one’s vehicle by providing a high standard of service. Their team of mechanics offer such services as oil changes, replacement of anti freeze, tunes-ups, brake and transmission fluids and maintenance services such as changing filters, fluids as well as testing and examining the entire vehicle to ensure that it is running at it’s optimum capability. Angel’s Garage not only offers quality work to keep your car running in top condition, but we also offer affordable prices and in some cases free loaner cars and towing with major repairs. With current economic times, many customers have elected to retain their vehicles longer, rather than trading in on newer models. This has resulted in more ongoing maintenance and repairs. Customers are seeking auto repair shops that have the expertise to determine the problem with the vehicle, that offer clients honest, reliable and affordable solutions for their vehicle repair needs, and also have the candor to send customer away when their vehicles do not need repair. These repair shops are available to provide regular scheduled maintenance of one’s vehicle, thus reducing the cause for more serious breakdowns and costly repairs. Their team of technicians are well versed in all levels of auto repair and work with the clients to address any questions of concerns. 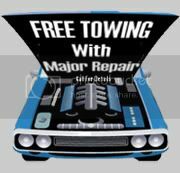 They also understand that there will be situations, that the repairs are too costly for the value of the vehicle and will guide the customer in these situations. They understand that ongoing success comes from an emphasis on friendly, courteous and trustworthy service. A focus that is on retention of business, understanding that by building long lasting relationships, returning customer make good business sense over the long term. Auto repair shops take pride in their work, their highly skilled staff put the customers and their vehicles needs first, offering good customer experience and quality workmanship that can be counted on. We are located in Irving, and our address is 828 North Beltline Rd. Irvin, TX 75061 and our telephone number 972-904-7906 or you can also call us at 972-313-4691.Thanks you and we hope to see you soon.